Written by our President and Founder, Dr. Ma. 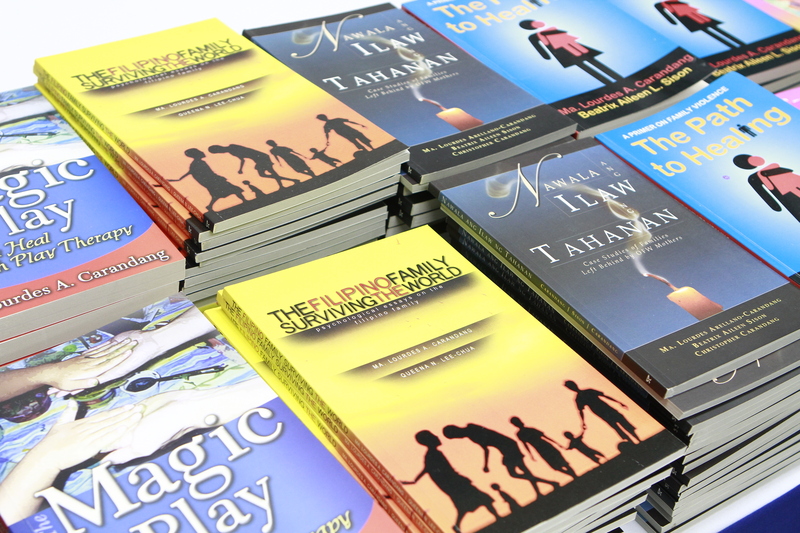 Lourdes “Honey” Carandang, and assisted by her capable team; these books are based on actual experience, research and intervention that we have done on Filipino children and their families. To place your order, please click on the link below to access the order form. Making Connections: A Group Therapy Program for Autistic Children and Their Families (Ateneo University Press, 1992) Assisted by Liwag, E.C. Pakikipagkapwa-damdamin: Accompanying Survivors of Disasters, 20th Anniversary Edition (Central Publishing House, 2016; Original Print: Bookmark, 1986) Assisted by Nisperos, M.K.B. The Path to Healing: A Primer on Family Violence (Anvil Publishing Incorporated, 2004) Co-Author: Sison, B.A.L. Nawala ang Ilaw ng Tahanan: Case Studies of Families Left Behind by OFW Mothers (Anvil Publishing Incorporated, 2007) Co-Authors: Sison, B.A.L., Carandang, C.F.A. The Filipino Family Surviving the World (Anvil Publishing Incorporated, 2008) Co-Author: Chua, Q.L. Ibalik Ang Saya Sa Pamilya: The DSWD Handbook on How to Stop and Prevent Family Violence (Department of Social Welfare and Development, 2001) Co-Authors: Sison, B.A.L., Dey, M.L.T.